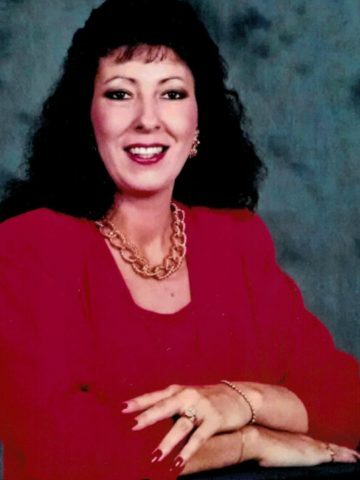 Donna Fay Hughes – Age 63, passed away January 18, 2019 in Nashville, TN. Mrs. Hughes is preceded in death by her son, Kenneth Coursey, II. Survived by her son, Casey Coursey (April); granddaughter, Alexandrea Coursey; grandson, Austin Coursey, Tyler Lemay, Kenneth Coursey, III; great-grandson, Jaxson Ham; sisters, Patty Smith, Shirley Rodgers; and also survived by Dennis Hughes. A Celebration of Life Service will be held 11:00 a.m. Thursday, January 24, 2019 at West Harpeth Funeral Home with Gary Anderson, officiating. Burial to follow at Lampley Cemetery in Fairview, TN. Visitation with the family will be held on Wednesday from 4:00 p.m. until 8:00 p.m. and on Thursday from 10:00 a.m. until 11:00 a.m. prior to the service. Donna was such a sweet & caring person . She will be missed by her old neighbors & friends from Fernvale Springs . She cook my mom some great meals in the past. We thought a lot of Donna . Love Kathy & Clemie So Sorry !! Donna & Patty were just very dear friends when they were at Robert Orr Sysco. Donna was a very sweet girl as is Patty. I am so sorry for the family’s loss My thoughts and prayers go out to you all. Donna will be greatly missed though she is once again united with her son Kenneth in heaven. GOD Bless you all.